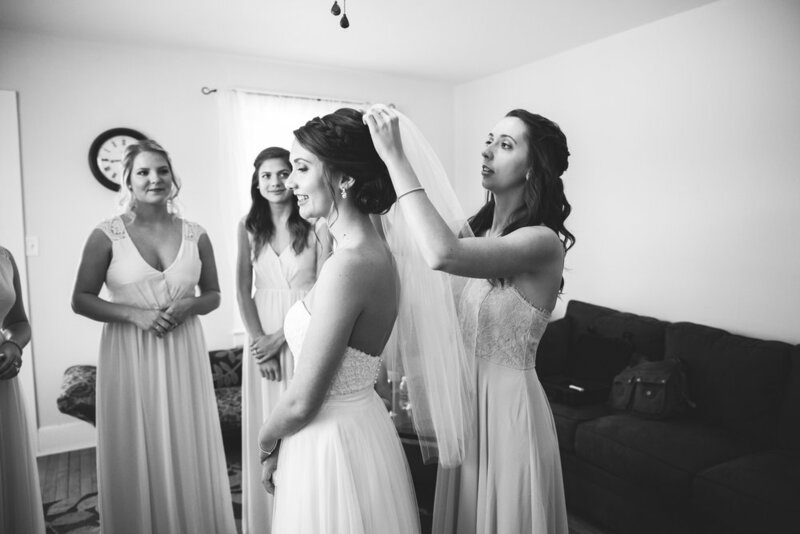 This beautiful September wedding was definitely one to remember! I have know Carla for a very long time. We grew up in the same neighborhood and went to high school together. Dylan also went to school with us! So when they contacted me about being their photographer I was so excited! It was a warm day at the end of September which made for a perfect outside ceremony. Dylan and Carla did not want to see each other before she walked down the isle but they did want to talk and pray before hand. The venue was wide open to options were limited. There was a beautiful tree behind the pond that turned out to be perfect! So we had Dylan close his eyes and turn away while Carla made her way down from the house on the property. They were so excited to talk and hold hands before the ceremony. They even cracked a few jokes :) . Carla had her step dad and dad walk her down the isle to say I do. 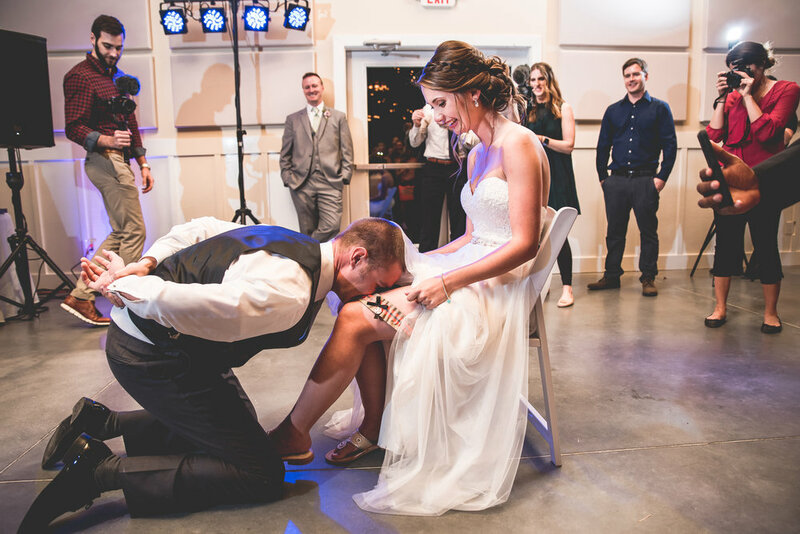 The vows were so sentimental and touching and all of their loved ones watched with love in their eyes as they shared their first kiss and Mr. and Mrs. Briggs. After that we took some fun photos with the wedding party. In fact the one that they are jumping in was too funny but you would never know.... they actually broke the step they jumped off of! We have no idea how that happened but the venue owner wasn't too upset about it haha! The beautiful reception area is where the new married couple shared their first dance and partied the night away. We ended with a sparkler exit and they took off in a beautiful car! Needless to day it was a great day! 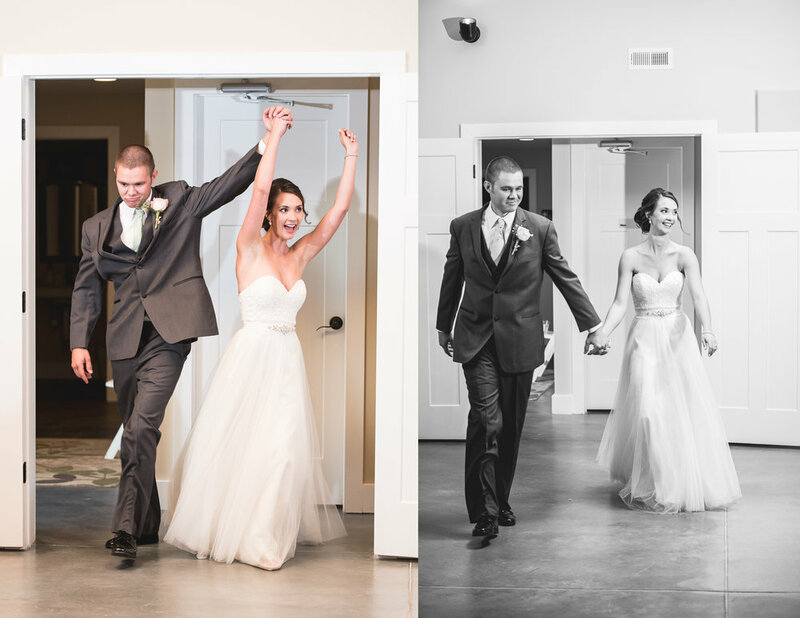 Check out my favorites from their wedding day!